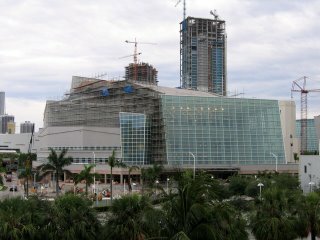 The brand-spanking new Miami Performance Arts Center (PAC for short) is set to open this fall, giving Miami a world-class, state-of-the-art fine arts venue for everything from plays to concerts to opera and everything else in between. Part of the Miami Downtown renovation plan, the PAC (it is hoped) will bring high culture (back? finally?) into the city. I for one cannot wait for this to open; it is high time Miami gains some respect as an international destination for the arts in addition to the ill-repute it has as a vapid party spot.